Over the past couple of decades, coffee connoisseurship has spread like wildfire. For those of us whose taste in coffee has become quite refined, a drip coffee maker using pre-ground coffee, or (heaven forbid!) instant coffee, just won’t do. We appreciate the nuances, the flavors, the process… the art of brewing a fine cup of coffee. 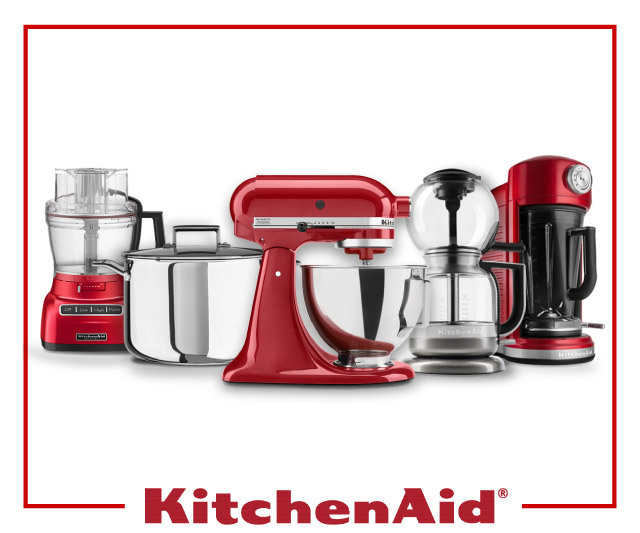 Happily, KitchenAid® is on board with the current craft coffee trend, but they’re not trying to reinvent the wheel. Instead they have designed new coffee makers that improve on the best traditional brewing methods. The first of these is the Pour Over Coffee Brewer, which replicates the manual process in a typically sleek and stylish countertop appliance. It heats the water to just the right temperature, staggers the flow over the grounds just as a well-trained barista would, and makes up to 8 cups, all at the touch of a button. The brewer meets the exacting standards of the Specialty Coffee Association of America, earning it a coveted SCAA certification (which means that it will consistently deliver delicious coffee!). Next up is the Siphon Coffee Brewer, which reimagines classic vacuum pot brewers, serving up a rich and complex coffee after a dramatic whoosh. This brewer really marries the art and science of coffee brewing, as explained in the video below. Coming soon is the Precision Press, which includes an integrated timer and weight scale to take the guess work out of the traditional French press brewing process. Finally, sure to please the most discriminating “coffeephile” is KitchenAid®’s Pro Line® Series Espresso Maker. This magnificent machine comes equipped with a variety of premium features (such as a dual boiler system which allows you to brew coffee and steam milk at the same time) designed to make each and every experience a delight. 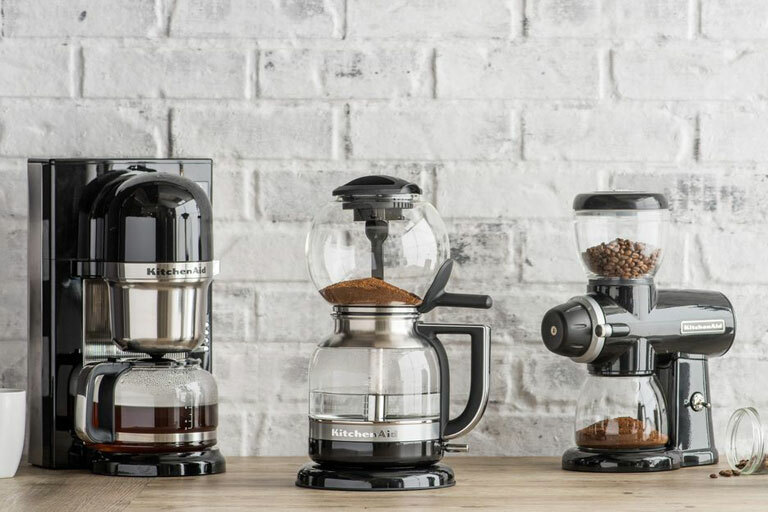 At KitchenAid® they know that life tastes better with coffee, and these new coffee makers make sure it tastes great. Available at these retailers: London Drugs, Canadian Tire, Home Outfitters, Hudson’s Bay and The Shopping Channel.